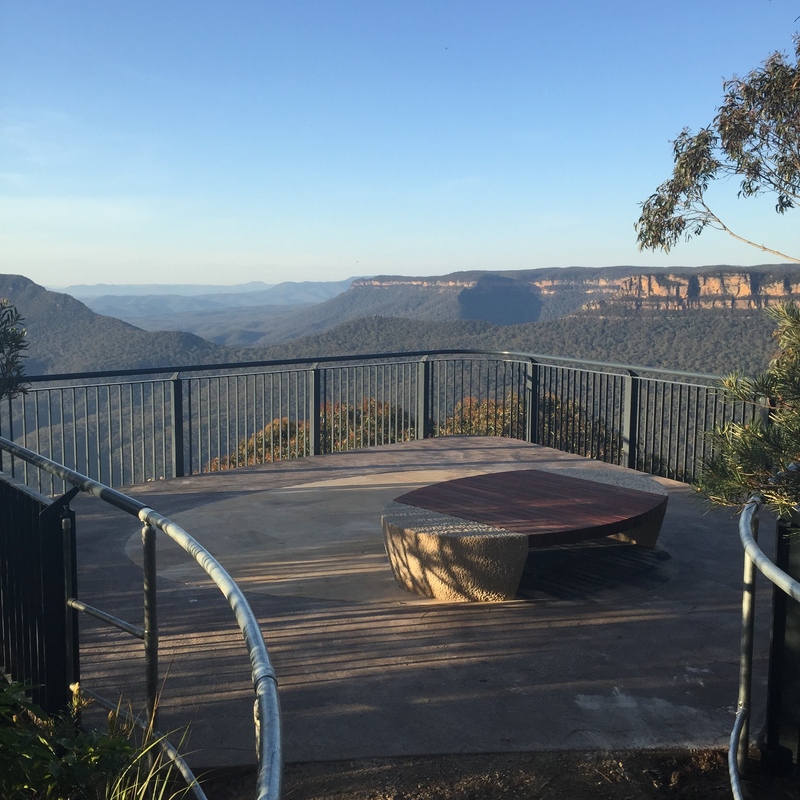 To the immediate east of Echo Point is Spooners Lookout and it’s about a 200m walk from the Visitor’s Information Centre and is wheelchair friendly. 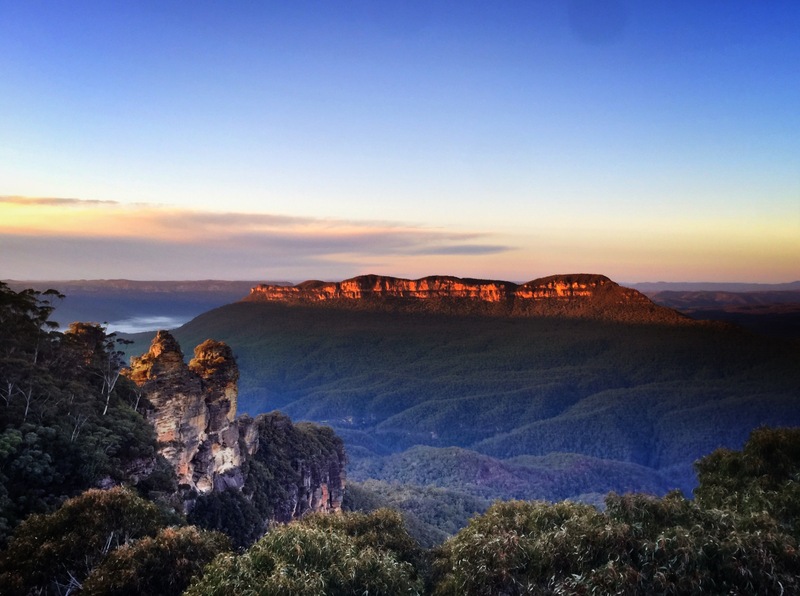 Pass through the archway, next to the Echo Point Visitor Centre, and you’ll soon be surrounded by soaring eucalypt forest, bird calls and fresh mountain air. Keep an eye out for the superb lyrebird and crimson Rosellas. You can continue the 450m walk to Oreades lookout. The lookout was named after Eric Sydney Spooner (2 March 1891 – 3 June 1952) who was an Australian politician. Eric Spooner played a significant part in Katoomba and Leura history. On 20 Oct 1934, he officially opened the Prince Henry Cliff Walk, Katoomba, whilst he as M.L.A., Assistant Treasurer and Minister for Local Government. Eric Sydney Spooner was an accountant and parliamentarian, who was born at Sydney, son of William Henry and Maud Ann Spooner. He was educated at Christ Church St. Laurence School until the age of fourteen, and later studied at night to qualify as an accountant. He practiced as a chartered accountant at Orange from 1919 to 1922 when he returned to Sydney to establish the firm of Hungerford Spooner & Co. with his brother William Spooner. In 1932 Eric Spooner was elected a member of the NSW Legislative Assembly for the seat of Ryde representing the United Australia Party. 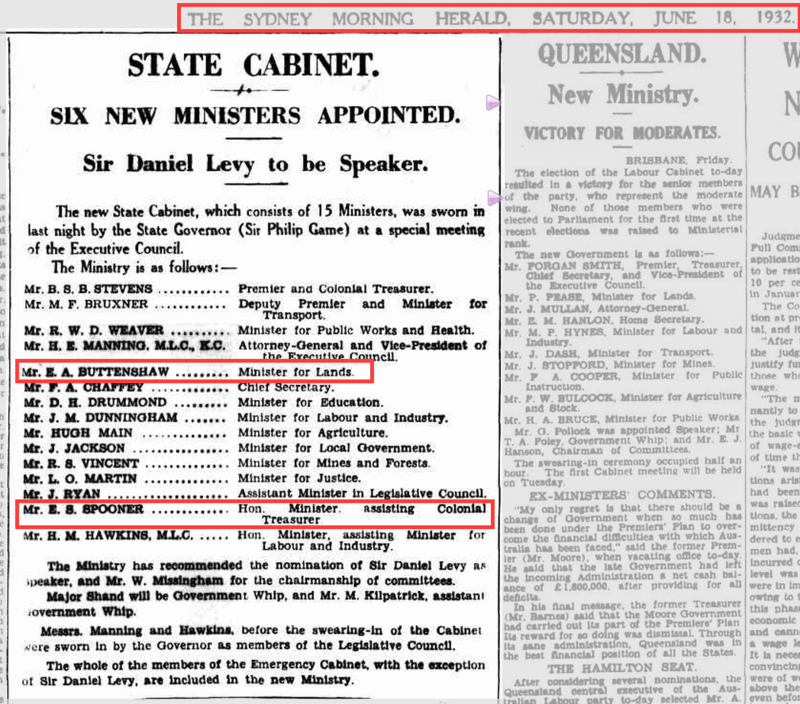 He held the seat until 1940 during which time he was appointed Assistant Treasurer (1932-1935), Minister for Local Government (1933-1939), and Minister for Public Works (1935-1939). 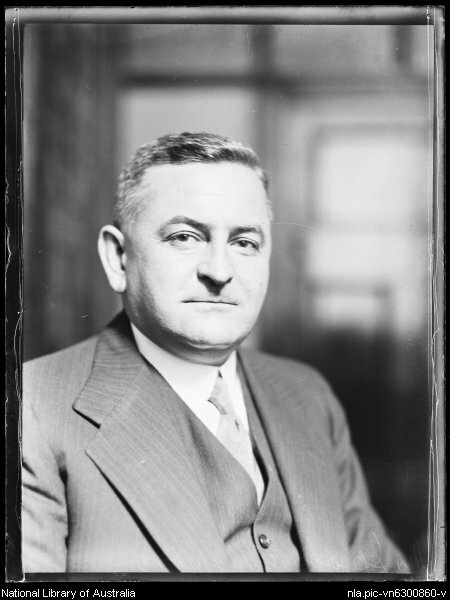 Spooner resigned as MLA in 1940 and contested and won the federal seat of Robertson in the House of Representatives. He was appointed Minister for War Organisation in 1941. Spooner was defeated in the 1943 Federal Election. He also had some involvement with the Blackheath Sewerage Works in 1938. 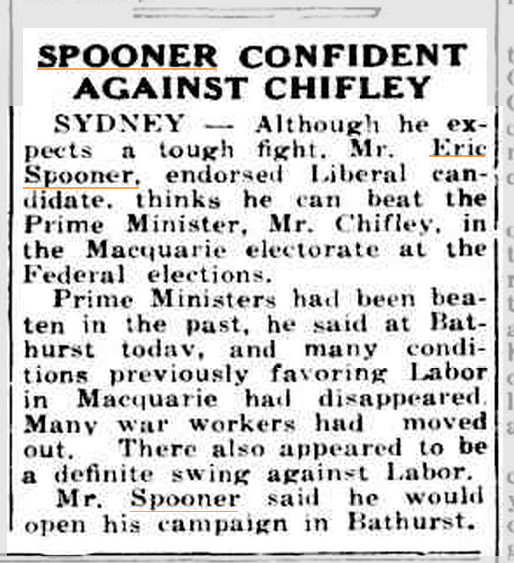 Eric Sydney Spooner ran against Ben Chifley in the Macquarie electorate.